One of the main limitations of autorun by Microsoft Sysinternals is that it doesn’t scale very well. 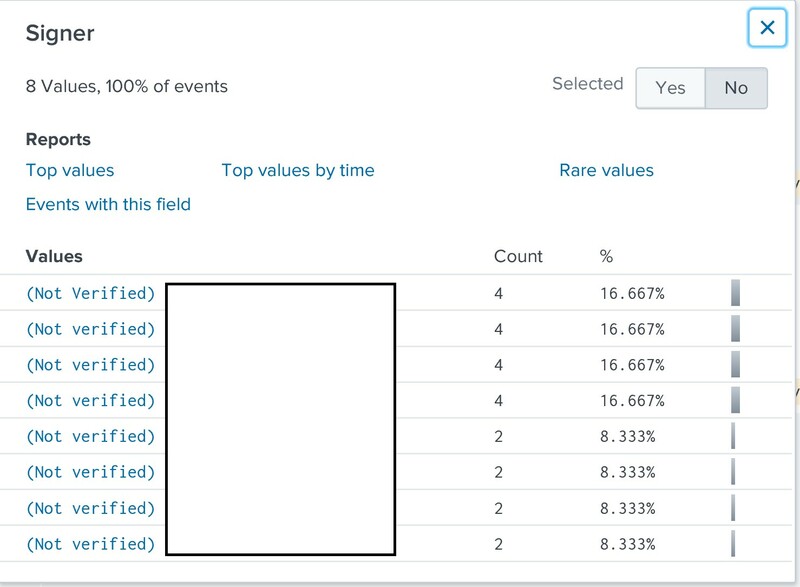 Palantir AutorunsToWinEventLog can help to resolve this issue. 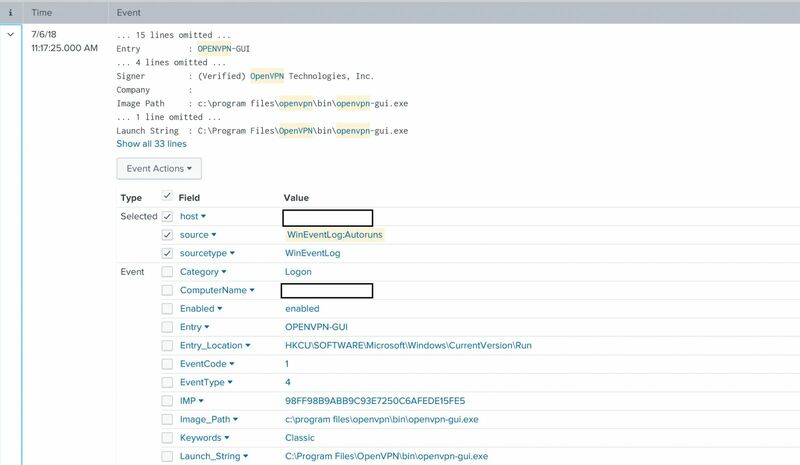 Palantir AutorunsToWinEventLog is a PowerShell script that runs autorunsc and converts it to Windows Events. once you download the script, you can run the following command from an admin PowerShell console. Since it’s a PowerShell script, it can be modified with a very basic knowledge of programming. 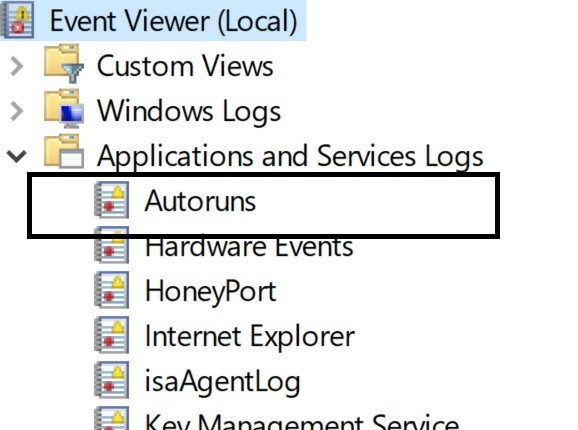 As you can see in the above picture , you have Autoruns under Applications and Services Logs. In the above picture, you can see sample events of OpenVPN that will run when the user login. 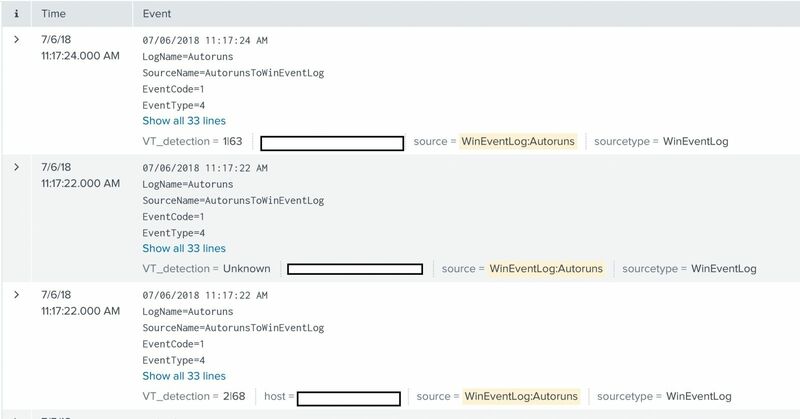 But what’s the point if having AutorunsToWinEventLog if you are not going to forward the events logs to SIEM? And since we are using autorunsc ,autorunsc can query virustotal by sending the file hash(by using the -v switch ), and AutorunsToWinEventLog is doing that by default. So we can check if there is any entry that triggered virustotal alert.